This is a slightly modified Circoflex kite based on these comprehensive plans, on a page that has stood online and unedited since 1998, back when they really built webpages to last; just HTML and grit. Basically a short, flying windsock, this kite looks very unusual and turned out to be pretty simple to make. The material is (or at least, claims to be) barely-rejected parachute material originally manufactured for the RAF. It’s remarkably like silk to work with: very light, smooth, and slippery, and consequently a complete pain in the fundament to sew. Excellent for its purpose though, and it’s the same stuff we’ve used to make the parachute for our high altitude balloon system. The plans were modified to give a circumference of 7.5 metres, making it much taller than a typical SHHM member. A zip was added to the bottom, in lieu of the recommended weights and to make (dis)assembly easier. The rim is 6mm dowel, mostly in 1.2m pieces, joined with short lengths of aluminium tubing carefully filed to remove burrs and sharp edges. 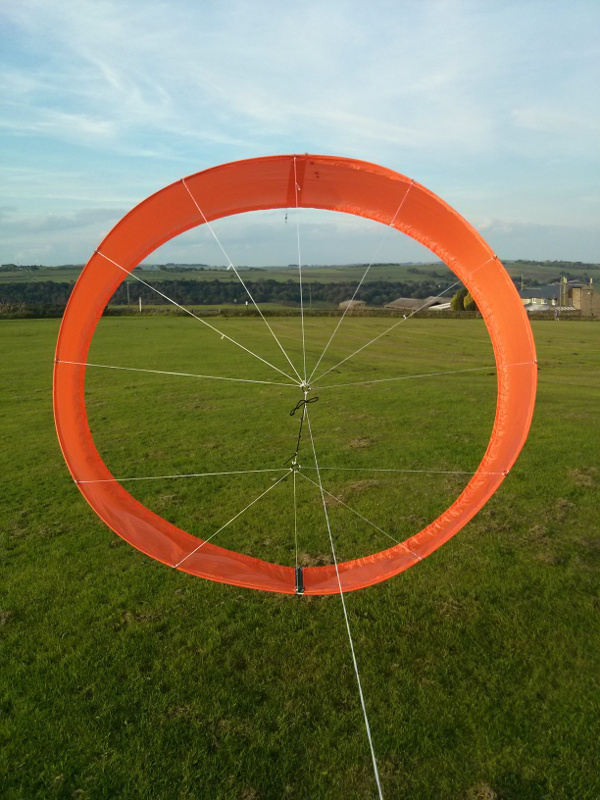 It hasn’t been tried in high winds yet, but at 3-5mph (estimated) it just hangs in the air, and some extremely scientific running-backwards-across-the-park confirms that it wants to climb nicely at higher airspeeds. Definitely an odd-looking beast, but worth the time to make it. Excellent, made a six meter, with instructions, wondered if ever a kit was made ever. I tried to make a circoflex kite of cylindrical shape with the top part nearly circular or elliptical using a bamboo stick. I used paper for the kite. 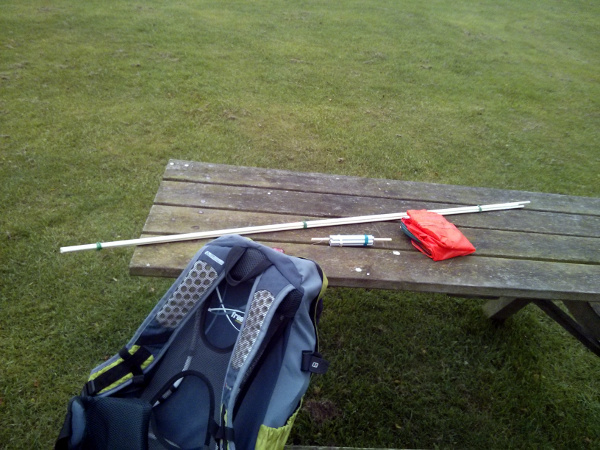 The problem is that the there is not enough lift generated for the kite in low wind speed. I had tied 4 strings at 12, 3, 6 and 9 0 clock positions joined together with the string at 12 nearly twice the size of string at 6 0 clock. The strings at 3 and 9 0 clock are of nearly equal length. All of the strings are nearly tight after I tied them together. Can you suggest the ideal number of strings and their positions and lengths? The Kite has a diameter of about 30 cm and its height is nearly 50 cm. I want to calculate pressure and lift generated on the kite with various positions of strings and any engineering perspective would be appreciated.